A positive trend emerging from the slew of corporate abuse and malfeasance has been a renewed attention by major investors as well as the general public around what we are invested in. 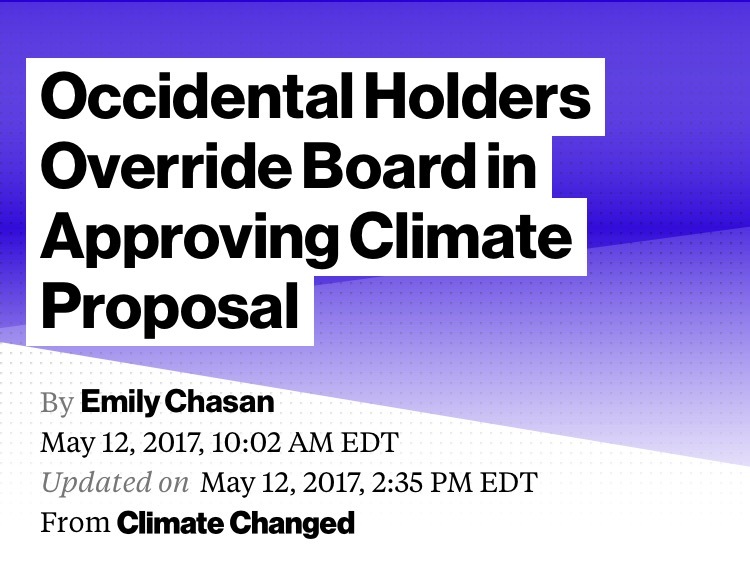 Corporations need to be held accountable, and the power of shareholders is a fundamental tool for doing so. Shareholders large and small have at their disposal several concrete methods of action, the two most common being divestment and shareholder engagement such as proxy proposals. Divestment has played a significant role in achieving the goals of social and environmental justice movements, starting from memorable campaigns in the early nineteen eighties in protest of Apartheid to the recent fossil fuel divestment movement. The strength of divestment as a strategy has manifested more around eroding the social acceptability of a business practice, rather than on direct financial impact to the corporation. With the rise of index funds coupled with cheap credit and the availability of substitute capital, the tool is becoming somewhat weaker. Engagement, its ancillary strategy, is likewise under pressure from policies diminishing shareholder power, the widespread use of Master Limited Partnership Agreements and companies staying private longer, as well as a recent trend in IPOs with gutted corporate governance rights. Two key trends present an opportunity to both support and increase divestment and engagement via new tools: the rise of new sophisticated financial instruments and computational tools, and innovation in social movements and online campaign organizing due to advances in information and communications technology. There is an opportunity to harness new powerful market tools in concert with nimble movement building, to impose greater accountability on capital markets and unlock new levels of social impact. What opportunities for social change via the public equity markets are missed by focusing solely on the binary tools of divestment or engagement? Which new financial tools, from low-cost ETFs to short-selling hedge funds to predictive analytics, offer a means to advance the goals of social movements? Under what circumstances could the intersection of these tools and movement-building form a viable investment thesis or strategy? Could such strategies empower values-aligned asset owners to strengthen their toolkit for social change, while also providing new funding streams for social movements? We will be using the results of this analysis as the basis for a convening of institutional investors at the forefront of shareholder engagement to explore practical new tools that can strengthen their work. By refining the arguments for alternative actions and popularizing them, the pool of resources available for those wanting to enact social change through their capital will widen and become more effective. Are you a shareholder, an institutional investor, or an asset manager thinking of innovative ways to spur social change with your public equities allocation? Curious to find out more? Please reach out to us at info@transformfinance.org.